The objective of the Cadet Command is to train teenagers in First Aid, Home Nursing, and encourage them to develop their interest in social and practical skills such as Home Safety, Community Care, etc., which are conducive to their development towards becoming good citizens. The Cadet Command has participated in Inter-divisional Competitions including Foot Drill, Uniform Inspection, First Aid and Home Nursing and they have achieved a brilliant result. 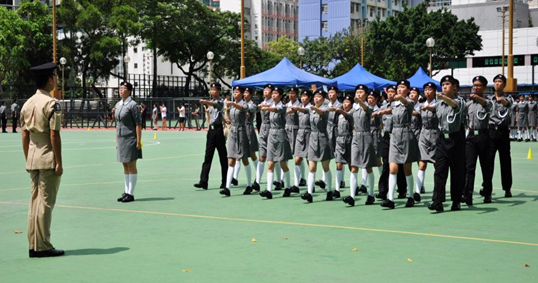 The Cadet Command has a training camp every summer holiday which aims at training the cadets and improving the bonds between them.